For Isaiah Rashad, everything is new. Less than a year ago, the 22-year-old native of Chattanooga, Tennessee was a just another former Hardee&apos;s employee with rap dreams. But in the last 12 months, Rashad has become a father, signed to Top Dawg Entertainment, and become one of the most talked about new rappers out. All before he ever recorded a full length project. But that&apos;s what happens when you sign to TDE—a label that that boasts one of the most talented rosters in music right now. In the past two years, TDE has proven adept at finding young talent like Kendrick Lamar, ScHoolboy Q, Ab-Soul, and Jay Rock and turning them into stars—be it budding or full-blown stars. (They also signed Maplewood, NJ rapstress, SZA this year, along with Rashad.) Today, Rashad&apos;s upcoming project, Cilvia, is one of the most anticipated albums of 2014. Although Rashad was able to get fans hyped for Cilvia with songs like "I Shot You Down" and its remix, as well as the more recently released "Brad Jordan" and "Ronnie Drake," there&apos;s still a lot we don&apos;t know about him. So we recently had Rashad swing by the Complex offices to talk about growing up in Tennessee, how he got discovered and signed to his deal, and why he had change the name of his debut album. 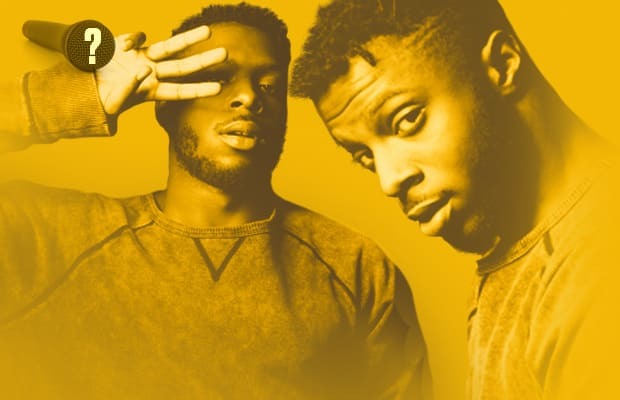 Here, now, find out Who Is Isaiah Rashad? RELATED: Who Is P. Reign?